Ok, back to the smoothies today. 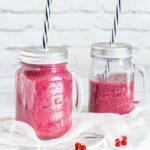 This balsamic roasted berry smoothie has been whipped up pretty regularly in my kitchen recently. Put it this way, it going to be one of my main summer drinks of choice. It is chock-a-block full of summer fruits aka raspberries, blackberries and red and black currants. Their flavours are richer and deeper because the berries are roasted till they are bubbling in their own almost caramelised juices. The berries are roasted with rich dark balsamic vinegar which really brings out their flavour. This treat is vegan so it is suitable for a wide range of guests. And guest will certainly agree with you especially when the smoothie is served in these extremely cute glasses. 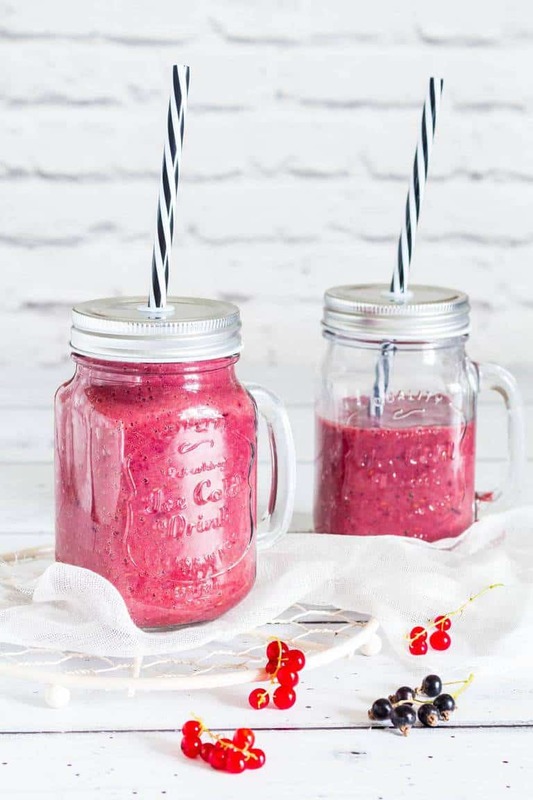 It is cool and refreshing, sweet but tart with deeper fruity flavours, aka it has got everything you need in a summer flavoured smoothie. 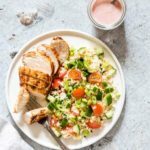 And you can quite easily make this into a smoothie bowl too and top with a little helping of granola and a tonne extra fruits. That way it becomes a much more filling breakfast or brunch treat. Actually, talking about brunch, you can certainly serve this balsamic roasted berry smoothie along with waffle with a cherry sauce, orange and thyme waffle with a blue berry compote, semolina pancakes with maple and nutmeg roasted plantain and a fruit pancake pizza. So much choice. This recipe is very flexible as well. Please do feel free to use any combination of berries that you have in your fridge. One tip here is to roast the berries a couple of days before hand and keep them in the fridge. So, you can easily grab a handful and whip up this smoothie when you need it. Anything for an easier life. 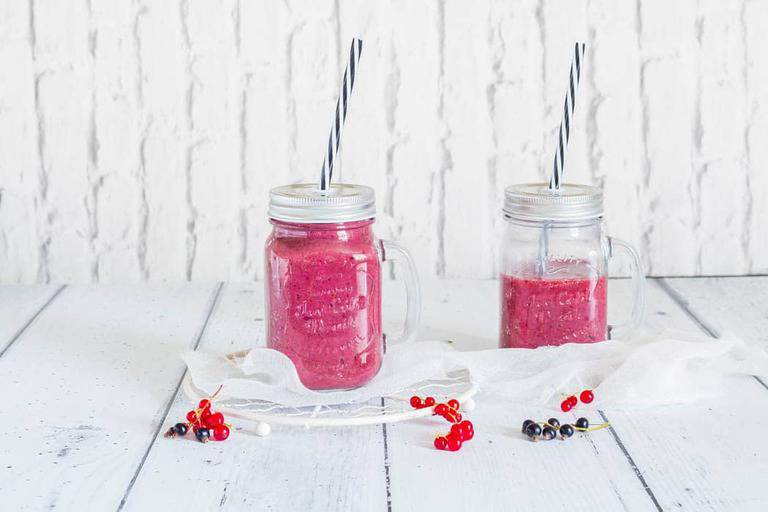 Here is how to make these balsamic roasted berry smoothie. Please do try it and if you do make it, then please do tag #recipesfromapantry on Instagram or twitter so that I can pop over and have a look. It is really, really awesome for me when you make any one of my recipes. Don't forget to tag #recipesfromapantry on Instagram or Twitter if you try Balsamic Roasted Berry Smoothie (Vegan)! It is really, really awesome for me when you make one of my recipes and I'd love to see it. You can also share it on my Facebook page. Please pin this recipe to Pinterest too! Thank you for reading Recipes from a Pantry. Mix the berries with the balsamic vinegar and the 2 tbsp of maple syrup and transfer into a ceramic baking dish. Use a small dish so that the berries roast in their liquid (otherwise the liquid might evaporate). Roast for about 20 minutes, turning half way through, until the juices are bubbling and the berries start to turn darker. Then remove the berries from the oven and allow to cool. When cool, transfer the roasted berries and their juices along with all the other ingredients, including extra maple syrup if desired, into a blender and whizz until well combined. 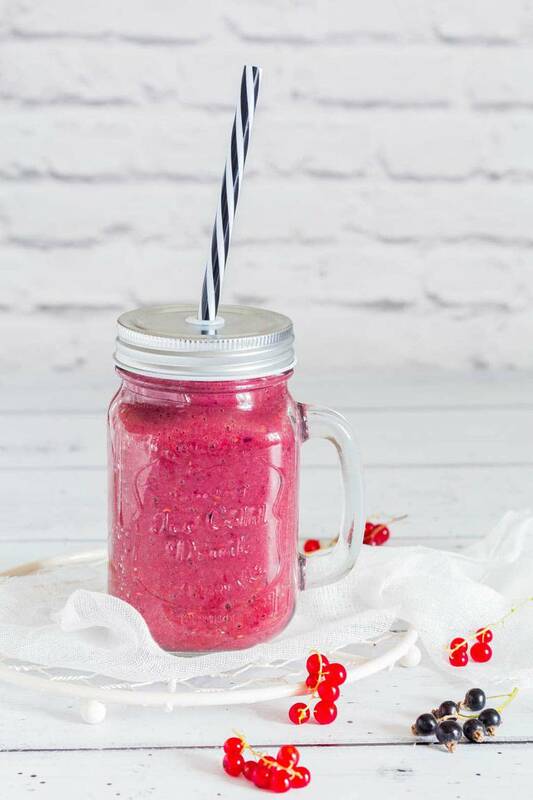 What a great idea to add balsamic roasted berries to a smoothie! 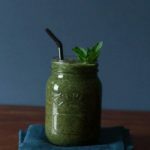 I love a good summer smoothie and this is a must try! 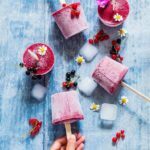 I’m obsessed with balsamic anything and I love berry smoothies, so this is a match made in heaven! The glass jars are super cute too; I love nothing more than sipping my smoothies in cute glasses! Yes cute glasses are a must for smoothies. I wouldn’t have thought of using balsamic vinegar in smoothie but like the idea! The smoothie looks delicious! Using roasted berries in smoothie is such a great idea! I bet the balsamic adds so much flavor. Can’t wait to try it! Please do come back and let me know what you think. It really does bring out the flavours. Berries and balsamic is such a great flavor combo! Love the color of this smoothie! This looks seriously refreshing. I love the fruity flavor combination! I love red and black currants. I used to eat them growing up in Poland. 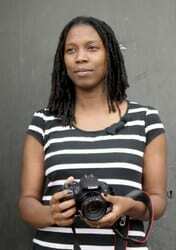 It’s so difficult to find them though in US. I also love the addition of balsamic. Great idea. I’ve had roasted berries and I’ve had berries with balsamic, but never roasted berries with balsamic in smoothie form! Looks so pretty! 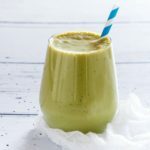 I make a smoothie pretty much every day for hubby and I and this would be something we would love! No kidding! I never would have thought of putting balsamic in my smoothie. This sounds delicious and I love maple syrup being used as sweetener.